I've been coordinating the BLOG BLITZ since March 2013 and during that span of time we have BLITZED approximately 83 targets and seen the team expand to 486 members. I feel that together we have brought an immeasurable amount of positive energy to the blogosphere and I am extremely proud of our accomplishments. However, it's not been without its detractors. Below is a sample of an email I received a couple months ago about the BLITZ. I joined Blog Blitz on the off-chance that I'd get more exposure for my blog. I don't know how your random selection thing works but when there were 150-some blogs in rotation (when I joined) I knew that in the worst case scenario, my blog would come up "at random" sometime within 3 years (at the rate of 1 Blitz per week). I'm dropping out because A) we don't Blitz every week so my blog will never receive exposure, and B) no one is going to nominate my blog because... no one reads it. If I realized it was going to be an on-again, off-again popularity contest, I never would have signed up. If I can figure out how, I'll remove my blog from the line-up. 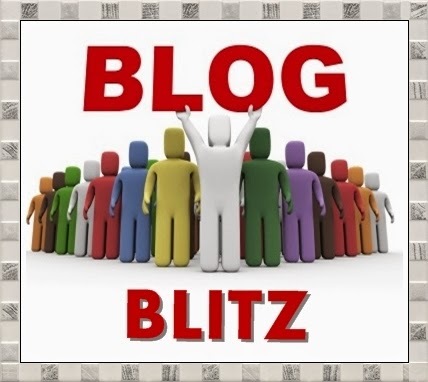 I'm going to remove the "Blog Blitz button" from my site. I occasionally receive other requests to be dropped from the BLITZ TEAM, but usually those members no longer have the time to spare to participate. The average BLITZ generates 90-120 comments, which is only 18-25% of the TEAM, and that concerns me. I recently had a friend audit the entire BLITZ TEAM list and we found almost 150 dead links. The BLITZ was never intended as a way for members to draw traffic to their site, but rather a tool for focusing blogosphere energy for fun...and as it turns out...when its desperately needed. The person who wrote the above email must not have understood that. All you have to do is re-read my original POST introducing the BLITZ if you want to really understand my motives. This got me thinking about our low participation rate and why people added their name to the linky list in the first place. You know what? See ya! (To the person who dropped out because the blog blitz wasn't ALL about them and didn't help THEM.) I have been involved with the Blitz team since its inception and I've watched as you nurtured the idea into a supportive writing community. We've visited people who needed a boost, people who had happy book things happening, and people who were just starting to blog and got encouragement. I feel as though people who participate without expecting anything back are the ones who get the most out of it. (Funny how that also goes for life.) I may not be able to participate every week, but proud/happy to sign up again! Amen! I'm right there with you! What Julie said. :) We can't always get something out of what we do and if the Blitz serves to cheer or encourage just one person, then I would say we've done good. I forgot to say I was blitzed at a time when I was a little discouraged and the comments helped tremendously to help me refocus, plus there were people who also drew encouragement from what I had written. Blitz on! I'm certainly glad to see that a lot of people feel the same way I do. Thank you JL! What a poor attitude. The Blitz isn't about us, it's about others. And I was very touched and surprised when I was Blitzed. I'll gladly sign up again. You're doing a great job, DL. And if someone didn't get what you are doing then it's their loss. I must confess I'm not always regular with visiting the folks you've chosen to Blitz, but I'm adding my name to this and hoping to me more regular...Offering you a virtual hug from India! BLITZING every single time isn't the issue...everyone has commitments and time pressures...but rather its the ones who signed up and never BLITZED in the first place. Those are the ones that we can stand to lose! I would sign up twice if I could, DL! It was a fantastic idea back then and a fantastic idea now. What a sore loser they must be. You are awesome. Thank you for sticking with it. Forget that guy!! Granted, my blog is more of a pop culture bent than strictly about writing (as many of the blogs on here are) but I am working on my first book (about forgotten TV shows of the past) so I suppose that means I can play along. Happy to sign up again! I suppose everything will have its critics, but I love the purpose of the Blog Blitz as it is! Someone really thought the Blitz was about gaining followers? So sad. Now you know why I prune the IWSG list every month. The Blitz list is so big, starting over seems wiser. That's what I said. I'll send an email blast to everyone on the old list for a couple weeks...then it'll be history. Sign my up *again*! Spreading love is a good thing. It's sad someone didn't get the point. The best part is stumbling on a new blog and loving it. I love BOTH the BLITZ and the IWSG! What wonderful ways to spread a little love in the world. It gives a lift to my day each time I participate, so count me in too! Thank you DL - for all that you do to connect us bloggy folk. Long live the BLITZ! I'm sorry you're having to do this, DL. Anyone who actually read your original post outlining the purpose of the Blog Blitz would realize it was never intended as a way to drive traffic to participants' blogs but rather as a means to show support and camaraderie toward fellow bloggers. As for the individual who is convinced blog statistics are more important than community, maybe there's a reason no one reads his/her blog. I'm so sorry to hear that that person was so negative about the Blitz! It's one of my favorite blogging activities. I love being able to help support people and am always excited to participate even when my own blogging is on a bit of a break. Also as a recipient of one of the first Blitzes.. I didn't gain a ton of new followers after my Blitz. I did feel extremely supported and happy to receive so many lovely comments on a post I put a ton of work into. That, to me, is much more important. Here's to v2.0! Thanks for all your hard work, DL! Happy to sign up again! I've only missed a few blitzes. It's fun to get around and read sites I might otherwise never get to. Thanks for doing this! Blitzing has never been about gaining followers. That's a whole different ball game. Granted, I've found a few interesting blog sites during blitzes and that's a nice by-product. I've missed a few blitzes here and there. I know I was touched to be blitzed but to be honest, I hadn't really expected to be blitzed. Sometimes we reach out to others simply because they need it with no thought to any benefits to us. It's being generous and caring of others. I get that this is a support list. It's too bad anyone thought it was a promotion list. Thanks, DL, for trying to bring smiles to someone's face. Rebooting is a really great idea DL! Sometimes that's all it takes. I think Blitzing is a great thing! It's so unfortunate that people aren't getting the point. When I first stumbled on the blitz my interpretation was that it was meant to bring the community together, and support others. Also, to just plain put a smile on someone's face for a day. For me it kind of felt like getting birthday wishes texted or FBed to me all day. It just put me in the best mood :) big thank you for all you do to help the blogging community! I do the blitz as I can (currently WAY behind because my computer died) but you were very clear about the purpose of this group when it started. While it would be a nice bonus to "drive traffic," that was never the reason I signed up. As for an "on-again-off-again popularity contest," this individual obviously feels that the world revolves around h/im and is experiencing a much-needed reality check. By the way, I put my information in on the linky page and was directed to a login page for linky tools? That's never happened before. Could you please check and verify that Eclectic is back on the list? I've refreshed a number of times and it doesn't appear. I don't want to add it again if it's there. Good luck to ya'll. Starting over sounds like the smart thing to do. Nicely written, by the way. This sounds like a fun opportunity to get to know other writers better. And it also feels good to be able to support one another in our writing community. I was the last to sign up to the old Blitz Team, so I haven't done a lot of Blitzes yet, but I love the idea and I do look around the blogs we visit and ended up following quite a few. I just love this exposure to other writers and bloggers that I would never have seen under normal circumstances. And I do make an effort to leave encouraging comments, reading the posts carefully. I got really excited when I saw that one of the referrers to my site with the Blog Blitz linky tool the other day. But I guess that was the check whether the link is actually working or not. So no, not blitzed yet, but I live in hope. I think it's great that you actually go through the trouble and check the links to make sure they're actually working. 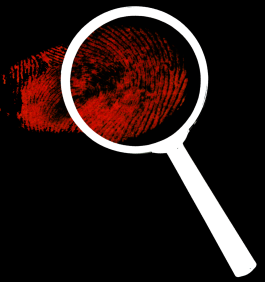 Other blog hop hosts might find that that's too much trouble! I get so excited to blitz people. It's a real feel good thing to imagine you make someone's day special. Love the Blitz Team, and I agree with Julie and Trisha! I've not participated before, but am happy to join now. I think it's a great way to show support and an interesting by product would be to discover new blogs I haven't visited before. I am fairly new to this and have missed a few. I suppose I should go back and read the first post that started this. But before I do that, I want to say, I love the concept and enjoy reading new blogs every time I participate. And I look forward to the new rounds. Missing a BLITZ here or there is no big deal...heck there are weeks when I can't even post a BLITZ...but signing up and never showing up for one -- now that's not right! I missed several, but I think I can do it this time! Like I said before -- missing a BLITZ here or there is no big deal...but signing up and never showing up for one -- that's not right! Thank you for taking you valuable time to run this blitz! I have had the pleasure earlier this year of being blitzed and loved reading the comments left on my blog. I have been very busy writing this year and have not had the time to connect with the many friendly bloggers I have had the pleasure to interact with over the years and the blog blitz did the job intended, making me feel I had not been forgotten. I have re-joined the Blog Blitz team, and am very happy to do so. Thanks for continuing to run the blitz! Thanks DL for continuing to run this Blitz. I haven't been around much in the blogosphere to Blitz the chosen 'victims' lately, but thank you for the prompt to get back into it all. I love the Blitz as it gives me the opportunity to check out blogs I may not have found otherwise. Keep up the good work, there's still plenty of us behind you! I love the Blog Blitz, I think it's great to spread a little bit of joy to our fellow bloggers! It's been a great way to meet new bloggers as well as visit old friends that I haven't visited in a while. I'm so glad that you are continuing it! The blitz found me during the darkest days of my entire life. I doubt anyone had the slightest clue how much those words of support helped and meant to me. I have the entire post--with all 204 comments--printed and placed inside the memorial book I made for my wife. How can I refrain from helping make someone else's day a little better? I love this idea - it's brilliant! I wish there were more fun & uplifting activities. Who doesn't have time for that? I think the Blitz is fun. Yeah, maybe I won't randomly get selected, or be nominated. But THE ODDS ARE EVER IN MY FAVOR that I'll meet some cool new people by way of Blitzing. In fact, some of my favorite blogs I found because of their blitz day. People who are in it only for themselves don't get that blogging is a community. And in this community, you, DL, are some super celebrity that makes things better for the people. ((Hugs)), DL. All re-signed up! Wahoo! look at that--over 100. We're a strong bunch. =) Oh, and I tagged you today. ^ Yeah she did. And I think it'd be cool to read your reply to that! Signed up both my blogs again DL. It's a shame that this guy didn't understand the concept of what the Blitz is supposed to be about. I may not be the perfect blitzer because I'm notorious for blitzing a day, sometimes two days late (after the glitter's been cleaned up and everything), but I make my best efforts. The Blog Blitz is about Friendship and Support, not promotion. 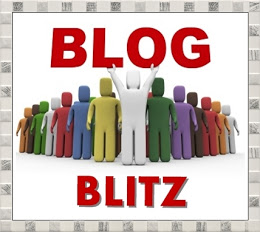 I'm proud to be a member of the Blog Blitz team; I always have been. Hugs to you DL for keeping it going. I'm back. Thanks for the follow up email as I missed the first one. Alright -- late, but better than never: I love the purpose, and while I hadn't before, I AM jumping in for the reboot of the Blitz! I'm keeping up with the Blitzes. They're fun and I know they make the bloggers excited when it's their turn. I'll join in on the Deja Vu, but it will have to be Monday. I'm not blogging on Fridays anymore. Hope that's okay. Just ran across the email about this in my mailbox. I got it when I was back home in Tennessee after my mother's passing so there were a lot of emails I didn't see at the time. Now I'm trying to catch up and clean up. Good idea to do a reboot. I'm in. That blogger's sentiment is understandable but unfortunate. Would love to have all the comments landing on a thread of mine, of course. Love the idea of getting together and concentrating positive attention all on one primarly non-commercal blog even more. I love that original post. I'll get the badge up as soon as I can and do a post when I clear out my queue a bit. Good that you don't do it weekly, by the way. I couldn't join if it were a weekly thing. It was fun watching the threads grow today. This is an awesome thing. I am really in now. All I can say is the linkly list was not showing up the other night, but I was out of bandwidth. Now I'm in and good to go! Just signed up on the linky. Don't exactly know what I'm doing, but looks like fun. I feel like the kid on the playground whose been invited to a game but doesn't know the rules completely. I hope I don't ruin the fun for everyone by tagging the wrong person! Just doing some blog updates and saw my link to this. Figured I'd stop in and say hi just for the heck of it.